Jon Laman obtained his Msc in Medical Biology from the Vrije Universiteit in Amsterdam (1987) and his PhD on antibody formation in HIV-1 infection from the Erasmus University in Rotterdam (1992). As a postdoctoral visiting investigator from TNO, he worked on CD40–CD40 ligand interactions in B-cell responses and in experimental autoimmune encephalomyelitis (EAE, model of multiple sclerosis-MS) with Dr Randy J. Noelle (Dartmouth, Lebanon, New Hampshire, USA). 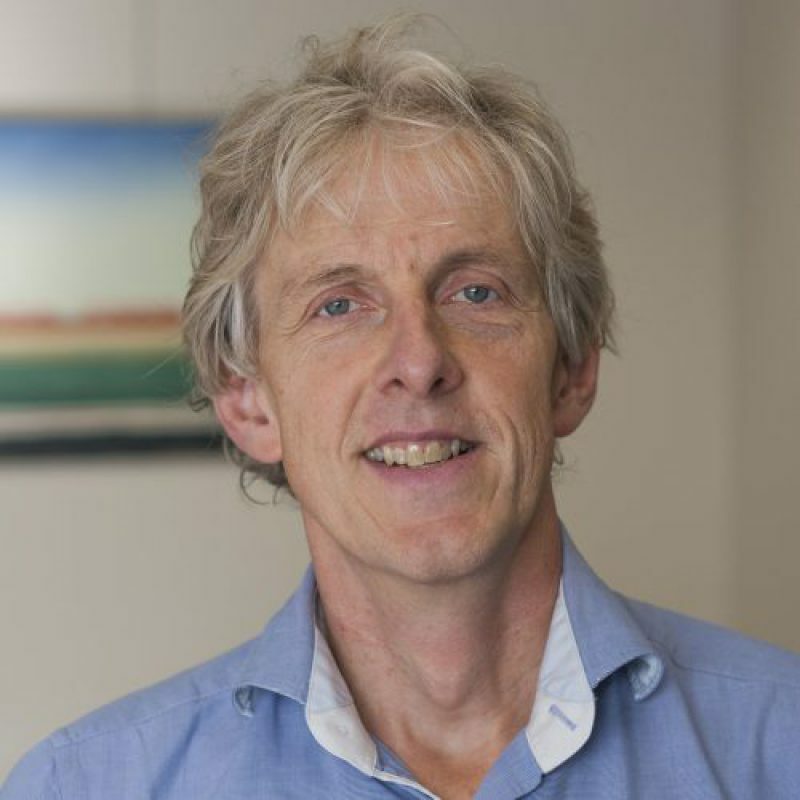 In 1997, he was recruited by the Department of Immunology of the Erasmus University Medical Centre Rotterdam to initiate the MS Centre ErasMS together with the neurologist and immunologist Prof. Rogier Q. Hintzen. In 2005, he was appointed as Full Professor in Immune Regulation. He closely collaborated with the Departments of Neurology (MS and Guillain-Barré syndrome), Rheumatology (rheumatoid arthritis) and Dermatology (psoriasis). Fall 2014, Prof. Laman joined the Department of Neuroscience of the University Medical Centre Groningen and the MS Centre North Netherlands (MSCNN) as a Professor of Immune Physiology. His research interests are chronic brain inflammation in aging and multiple sclerosis (MS) employing human and animal studies. Work of the group is part of the Groningen Coherent Programme on Ageing. He collaborates with different groups in the UMCG, the European Institute for the Biology of Ageing (ERIBA) and the Departments of Biology and Chemistry of the University of Groningen. Nationally, longstanding collaboration is with the Biomedical Primate Research Centre (BPRC) Rijswijk, as well as with the Brainbank and MS centers in Rotterdam and Amsterdam. Ang CW, Jacobs BC, Laman JD. (2004) The Guillain-Barré syndrome: a true case of molecular mimicry. Trends Immunol. Powell JJ, Thomas-McKay E, Thoree V, Robertson J, Hewitt RE, Skepper JN, Brown A, Hernandez-Garrido JC, Midgley PA, Gomez-Morilla I, Grime GW, Kirkby KJ, Mabbott NA, Donaldson DS, Williams IR, Rios D, Girardin SE, Haas CT, Bruggraber SF, Laman JD, Tanriver Y, Lombardi G, Lechler R, Thompson RP, Pele LC. (2015) An endogenous nanomineral chaperones luminal antigen and peptidoglycan to intestinal immune cells. Nat Nanotechnol. van Luijn MM, Kreft KL, Jongsma ML, Mes SW, Wierenga-Wolf AF, van Meurs M, Melief MJ, der Kant RV, Janssen L, Janssen H, Tan R, Priatel JJ, Neefjes J, Laman JD, Hintzen RQ. (2015) Multiple sclerosis-associated CLEC16A controls HLA class II expression via late endosome biogenesis. Brain. Stern JN, Yaari G, Vander Heiden JA, Church G, Donahue WF, Hintzen RQ, Huttner AJ, Laman JD, Nagra RM, Nylander A, Pitt D, Ramanan S, Siddiqui BA, Vigneault F, Kleinstein SH, Hafler DA, O'Connor KC. (2014) B cells populating the multiple sclerosis brain mature in the draining cervical lymph nodes. Sci Transl Med. Jagessar SA, Kap YS, Heijmans N, van Driel N, van Straalen L, Bajramovic JJ, Brok HP, Blezer EL, Bauer J, Laman JD, 't Hart BA. (2010) Induction of progressive demyelinating autoimmune encephalomyelitis in common marmoset monkeys using MOG34-56 peptide in incomplete freund adjuvant. J Neuropathol Exp Neurol. van der Fits L, Mourits S, Voerman JS, Kant M, Boon L, Laman JD, Cornelissen F, Mus AM, Florencia E, Prens EP, Lubberts E. (2009) Imiquimod-induced psoriasis-like skin inflammation in mice is mediated via the IL-23/IL-17 axis. J Immunol. 't Hart BA, Hintzen RQ, Laman JD. (2009) Multiple sclerosis - a response-to-damage model. Trends Mol Med. van Zwam M, Huizinga R, Heijmans N, van Meurs M, Wierenga-Wolf AF, Melief MJ, Hintzen RQ, 't Hart BA, Amor S, Boven LA, Laman JD. (2009) Surgical excision of CNS-draining lymph nodes reduces relapse severity in chronic-relapsing experimental autoimmune encephalomyelitis. J Pathol. Visser L, Melief MJ, van Riel D, van Meurs M, Sick EA, Inamura S, Bajramovic JJ, Amor S, Hintzen RQ, Boven LA, 't Hart BA, Laman JD. (2006) Phagocytes containing a disease-promoting Toll-like receptor/Nod ligand are present in the brain during demyelinating disease in primates. Am J Pathol. 't Hart BA, Laman JD, Bauer J, Blezer E, van Kooyk Y, Hintzen RQ. (2004) Modelling of multiple sclerosis: lessons learned in a non-human primate. Lancet Neurol. de Vos AF, van Meurs M, Brok HP, Boven LA, Hintzen RQ, van der Valk P, Ravid R, Rensing S, Boon L, 't Hart BA, Laman JD. (2002) Transfer of central nervous system autoantigens and presentation in secondary lymphoid organs. J Immunol.